A. 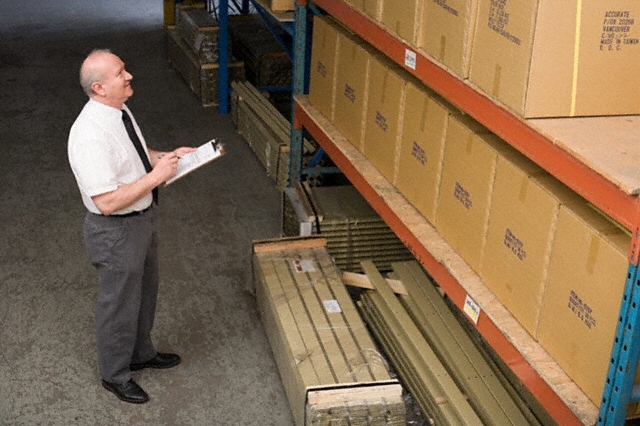 He's verifying the number of items in stock. B. He's adjusting the height of the ladder. C. He's disturbing the order of the shelves. D. He's scanning the goods by computer.